Here at Iglesia Del Camino we have both contemporary and Norteño music services with full bands. Our desire is to cultivate the presence of God by creating an atmosphere where Jesus can meet with His church. Come join us on Sundays and Wednesdays for an incredible time of praise and worship! 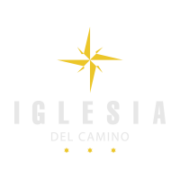 With a vision to take the Gospel of Jesus to where the need is, Iglesia Del Camino began the weekly television program Del Camino on God’s Learning Channel (GLC). The program airs its English sermons every Sunday at 10:00AM, Tuesday at 4:30PM and Friday at 1:30PM; and Spanish sermons every Wednesday at 5:30AM and Saturday 10:00AM.